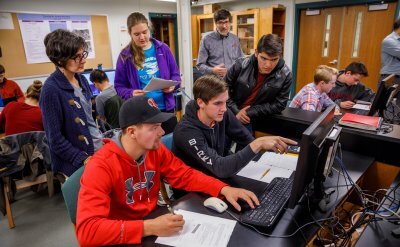 (From left) Loreto Soto-Rodreguez, Norma Marcias-Olmedo, Jorge Soto, Ben Elias and DaVonne Kramer. 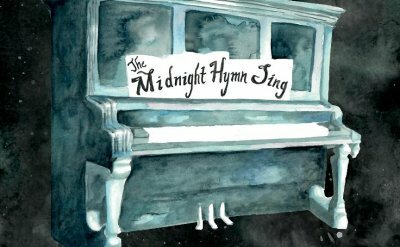 Jorge Soto, a sophomore chemistry major from Goshen, was among a group of first-generation students from Indiana’s independent colleges and universities honored at the 28th annual “Realizing the Dream” banquet on Saturday, Nov.
Addie Liechty '06 collaborated on an album called The Midnight Hymn Sing album, released on Nov. 21, an eclectic collection of spirituals and hymns that is being sold to help benefit Mennonite Central Committee’s response to the Syrian refugee crisis. 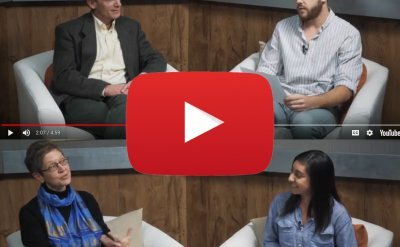 (VIDEO) Good of Goshen Special: Thank you, teachers! 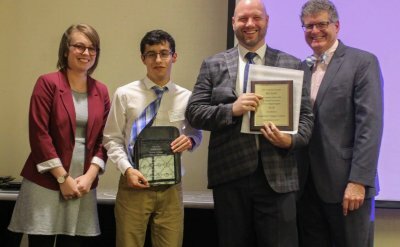 Just in time for Thanksgiving, Goshen-area students, including two GC students, surprised their favorite teachers with letters expressing gratitude for the positive impact they’ve had on their lives. 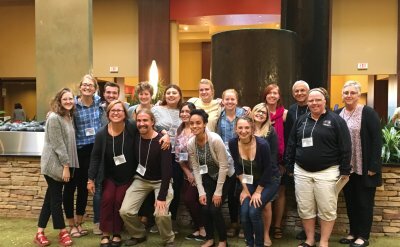 In the nearly three years since Prevention Intervention Network (PIN) began providing peer-led programming, they have trained almost the entire campus community － more than 800 Goshen College students, faculty, and staff － to be prosocial bystanders, and facilitate a regular fall and spring program with all outgoing students and faculty. 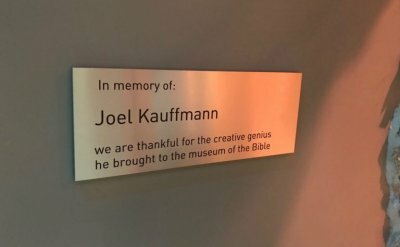 Six days before the Museum of the Bible opened its doors, more than 100 friends and family of Joel Kauffmann '79, a cartoonist and creative consultant on museum design prior to his death in 2015, gathered at the Washington, D.C., facility to remember Kauffmann, celebrate his contributions and launch a new scholarship in his name. 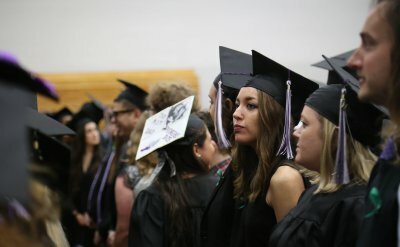 Goshen College recently received recognition among private schools for low student debt per grad ranked, including ranking tenth among all colleges and universities in Indiana. 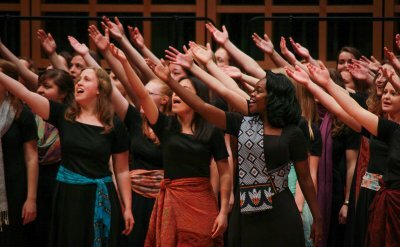 With regular offerings in student art galleries, recitals, and athletic events –– plus guests lecturers, big-name performing acts and plenty of on-campus amenities, there’s no shortage of ways community members and visitors alike can enjoy themselves at Goshen College. The beauty of entrepreneurship stems from the many different reasons why people decide to become entrepreneurs in the first place. 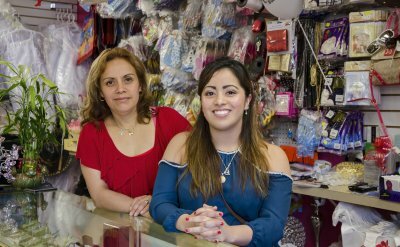 For many, entrepreneurship is the key to liberty and independence, for Maribel and her daughter Karen, entrepreneurship meant the opportunity to keep a dream alive. 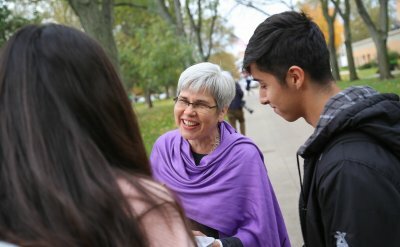 Goshen College President Rebecca Stoltzfus spent her first week getting to know the campus community, laying out her goals and challenging the student body to make the most of their college experience.